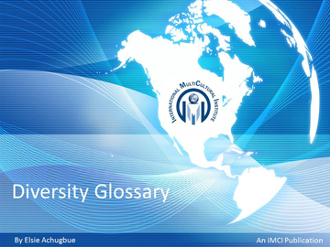 This glossary provides diversity trainers, consultants, educators and organizational leaders with a comprehensive list of commonly used diversity terms, phrases and acronyms. As a reference tool, the glossary presents widely accepted definitions and common usage of terms, and includes the historical and political contexts in which some terms arose. A training tool that reflects the most current thinking in the field, the glossary provides practitioners with concise, accessible language to communicate and teach diversity concepts to others.